Brian Franco and Lisa Tarr with Pet Paradise pose with two of their canine friends. Pet Paradise will move its headquarters to the second floor at 1551 Atlantic Blvd. in San Marco. The 16-year-old company will move to 1551 Atlantic Blvd. to accommodate its growing staff, which is working on adding eight to 10 Pet Paradise centers a year, according to our Jacksonville Daily Record news partner. 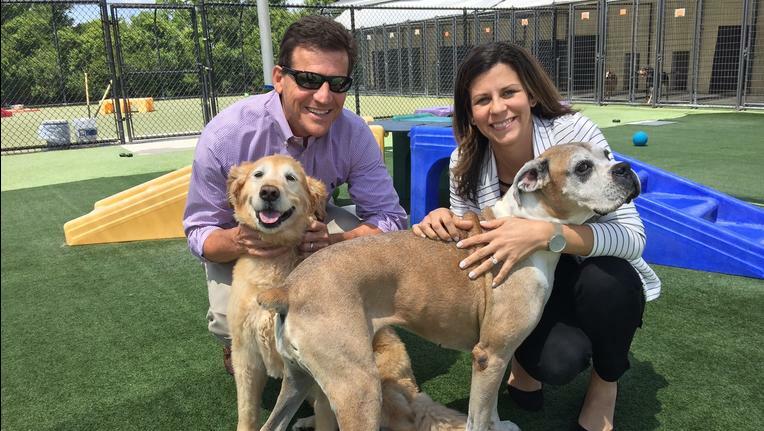 Brian Franco, vice president of real estate for its corporate parent American Pet Resort LLC, said the company is “expanding exponentially” and needs more space. Pet Paradise occupies about 5,000 square feet of office space in Southside at 5130 University Blvd. W. next to one of its pet centers. About 25 corporate staff members will move to the second floor of the Atlantic Boulevard building. A permit application indicates a renovation cost of $500,000 for 7,424 square feet of space in the three-story structure. Kasper Architects & Associates is the architect for the build-out. Franco said the company is pricing the project and choosing a general contractor. Franco said Pet Paradise intends to add 10 or so full-time employees at the headquarters and also will continue to boost systemwide employment as centers open. Franco said that upon the relocation, the company’s call center will move from the Baymeadows area into the University Boulevard offices. That also is about 25 employees. Pet Paradise operates 35 locations with more than 800 employees throughout the South. In Northeast Florida, Pet Paradise will open its fourth location in September. It will be prototype at 14976 Walden Springs Way in the Bartram area and will be followed in October by one in Greenville, South Carolina. In addition to Bartram and University Boulevard, Pet Paradise operates Northeast Florida centers in St. Augustine and near Jacksonville International Airport. Franco said the resorts operate in the South, Southeast and Southwest - north to Virginia, west to Phoenix and south to South Florida. “The plan is to continue to grow in the growing states,” he said. The new locations will offer vet wellness services, he said. Those will be added over time to existing locations. Pet Paradise offers full-service dog boarding, cat boarding, dog grooming services and pet day camp. Businessman Fred Goldsmith launched Pet Paradise in 2002 when he was looking for a place to leave his bichon frise and realized there was a market for pet boarding facilities. In December 2002, he led a group of investors who bought the first Pet Paradise resort and soon bought a Palm Coast facility. In 2005, Pet Paradise built its airport prototype location near Jacksonville International Airport. In June 2016, Pet Paradise partnered with Crane Group, a family-owned holding and management company in Columbus, Ohio. Crane holds a majority interest. Pet Paradise also partnered with the Jacksonville Jaguars this year to operate a dog day care at TIAA Bank Field when the team is playing at home. 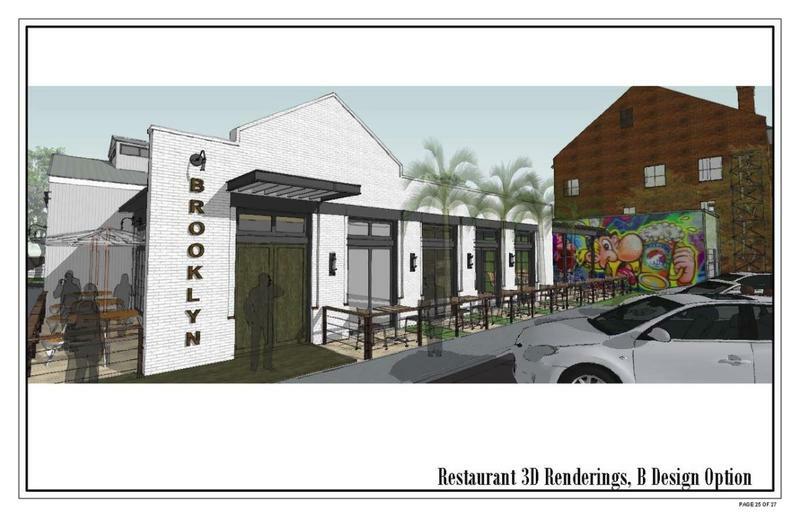 You can see computer renderings of Pet Paradise's renovated office space in San Marco will look like at the Jacksonville Daily Record. 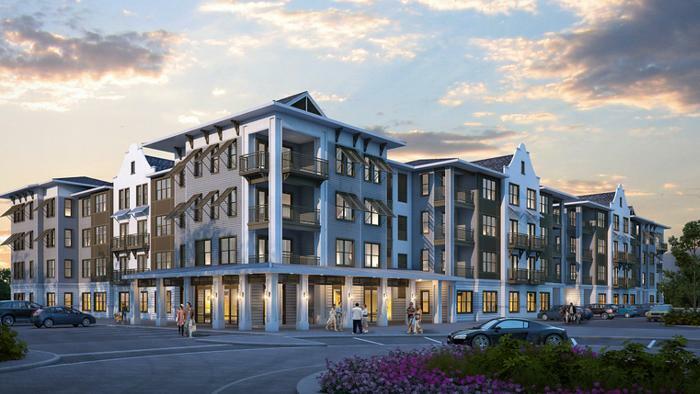 A new year promises to bring lots of new development to Jacksonville’s Urban Core. Bill Delaney of The Jaxson tells WJCT News Director Jessica Palombo about some of the major projects on the horizon. The massive Overland Bridge construction project on I-95 in downtown Jacksonville is set to wrap up in a couple of months. 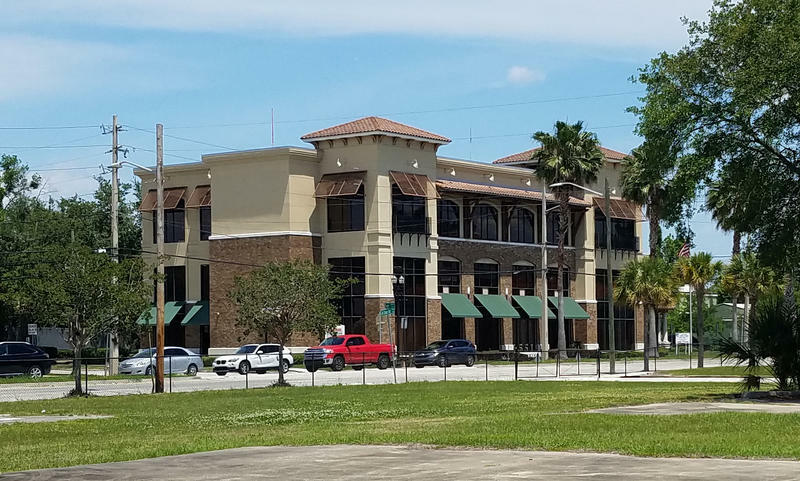 The Jaxson co-founder Ennis Davis said a new exit at Atlantic Boulevard is expected to spur development around San Marco and St. Nicholas. 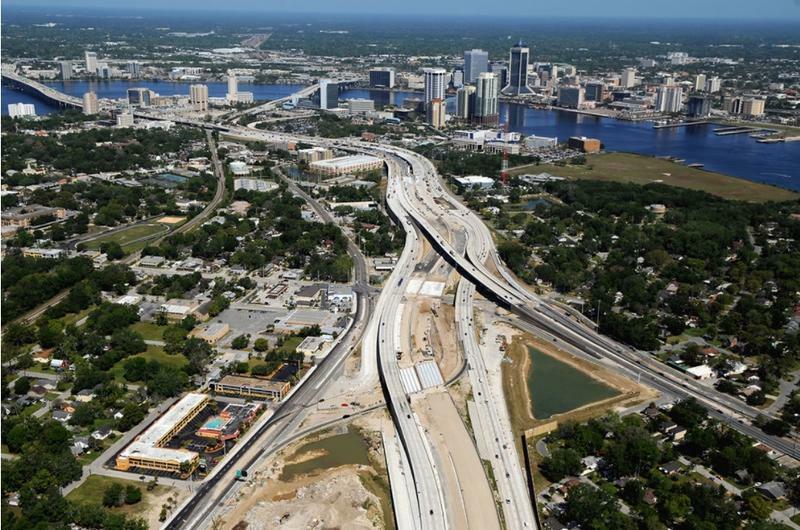 As road work nears completion on I-95 in downtown Jacksonville, a new interchange on the border of San Marco and St. Nicholas is spurring major development there.